Note: A specialization is not required for completion of the MCRP degree program. For priority consideration for admission: February 1 for Fall. November 1 for Spring. The Master of Community and Regional Planning (MCRP) program is accredited by the Planning Accreditation Board and designed to provide students with an understanding of the economic, social, political, and physical characteristics of communities and regions, and to assist students in developing skills for application in the planning profession. Students from diverse educational and professional backgrounds are encouraged to apply for admission to the MCRP program; no prior course work in planning is required. Specializations are optional. 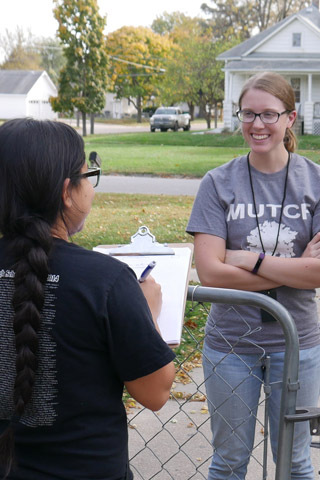 Students may pursue an interdepartmental area of specialization: Environmental Studies , Great Plains Studies , or Water Resources Planning and Management . MCRP students may choose to pursue one of three dual degree programs. The Master of Community and Regional Planning / Master of Architecture dual degree program is offered in collaboration with the UNL Architecture Program. This program enables completion of both the MCRP degree and the Master of Architecture degree within a duration of three years of full time study. This program is intended for persons who hold the Bachelor of Science in Architectural Studies (BSAS) degree or equivalent undergraduate degree. The Master of Community and Regional Planning / Juris Doctor dual degree program is offered in collaboration with the College of Law at UNL. This program enables completion of both the MCRP degree and the Juris Doctor degree within a four-year duration of full time study. The Master of Community and Regional Planning / Master of Science in Civil Engineering dual degree program is offered in collaboration with the UNL Department of Civil Engineering. This program enables completion of both the MCRP degree and MS in Civil Engineering (transportation specialization) in two and one-half years of full-time study. This program is intended for persons who hold a BS in Civil Engineering or equivalent degree. The MCRP program requires completion of 48 graduate credit hours, 24 of which are required core courses and 18 to 24 (depending on track chosen by student) are electives. Each student consults with a faculty advisor to select elective courses within and outside the program that will help the student achieve his or her academic and professional goals. A varying number of research assistantships and off-campus internships are available for MCRP students. For additional details check out the dept./program website: Community and Regional Planning.